Hump Day: Why the hold-up with province’s long-envisioned e-health plan? Why the hold-up with province’s long-envisioned e-health plan? It’s been more than a month since my father entered the hospital after falling ill when I brought him for our weekly Saturday morning outing at Tim Hortons. What I thought was a stroke ended up being a malignant brain tumour. After surgery to remove the mass, he was then diagnosed with lung cancer, which is apparently from where the brain cancer spread. Ah, cancer… the “gift” that keeps on giving. Is it too late to mark “return to sender” and throw it back in the mail? I think so. As the self-appointed “boss” of my father’s health now, I’ve become a huge fan of electronic health records. After a variety of stays, tests and surgeries performed at both local hospitals over the years, it’s become really clear to me that the sharing of health records between hospitals – while certainly something that’s done on a daily basis — could be made so much faster with electronic health records that have everything there no matter where you were treated in the province. I won’t hold my breath for this to ever happen, though, because of the now all-encompassing privacy issue. Privacy is very important, don’t get me wrong, but when it comes to someone who’s unconscious in front of you or a confused senior citizen in distress who can barely remember their own name, wouldn’t it be a godsend to medical personnel to just punch in their Medicare number and bring up a recent, accurate and complete history of everything from procedures and treatments to prescriptions? I feel for those treating patients sometimes. I really do. All they can often do is just work with that they know. The clunky system we have now of having to gather information from a variety of sources – even verbally from relatives – is not helping people get better faster. I believe e-health records would speed up treatment immensely and reduce the number of medical mistakes due to incomplete histories or human error. I’ve been there every step of the way with my father. Because he’s considered to be legally competent, he’s often asked about medical history, including past procedures, dates, etc. While he’s able to answer some of what is asked considering the shape he’s in, I would honestly hate to see what would happen if I weren’t there to answer for him during major appointments. He’s currently undergoing radiation treatments for his brain cancer. Last week, we met with the nice radio-oncologist who detailed what would be happening, side effects, etc. While my father was able to answer some questions, I had to answer most of the time because he either didn’t know the answer or got it wrong. On one occasion, the doctor asked, “Do you have any medical problems?” Obviously, the answer was a resounding “Yes!” – and she probably asked the question simply to determine whether or not he realized what was happening to his health in recent weeks. He answered immediately with, “No!” Yup, Dad. You’re a regular athlete in training for the London Olympics, aren’t ya? I know he knows he’s sick, but he keeps trying to maintain that shred of illusion (probably self-preservation) that he’s fine. I can’t say that I blame him. I know he’s very aware that he’s sick and is very worried about it even though he doesn’t show it often. There are so many seniors in hospitals and nursing homes now with no one to advocate for them. I’ve made a point to make sure that I know everything going on with him. And others in my position have done so in the past and will continue to do so in the future. It’s just what you do when you have a sick parent or other family member. If I were a caregiver, I would be so frustrated at having to take inaccurate verbal histories from seniors (or anyone else) who is not able to properly explain themselves or give good explanations as to what they’re going through. I would hope that electronic health records would help ease that burden – privacy be damned, quite frankly. I mean, really, if you’re lying on a stretcher in a hospital’s emergency room, wouldn’t it be beneficial to your health that the medical personnel had a full and complete history of you at their fingertips? If the only person who knows your history is on vacation for two weeks and you’re unconscious, how the heck would anyone know? At some point, saving your life and bringing you back to health quickly should trump a privacy issue that would hide the fact that you cut your “hoohoo” by pulling up your zipper too fast after a bathroom break during that big drunk back in 1987. Family members have many responsibilities when an elderly loved one enters the hospital – everything from doing their laundry, to checking in with medical staff to ensure all is well, to even helping their loved one choose their meals so that the food they get will be what they like so that they eat and keep up their strength. Extended hospital stays are hard on everyone. The patient is often bored and definitely not feeling well. There’s little personal privacy. You have to be prodded and poked at on a daily basis. You’re worried about your health – and so is your family. I’m not sure how this will all end, but I do firmly believe that electronic health records would make the journey that much easier. The time has come for us to get over our privacy addiction and agree to share data with those charged with caring for us. 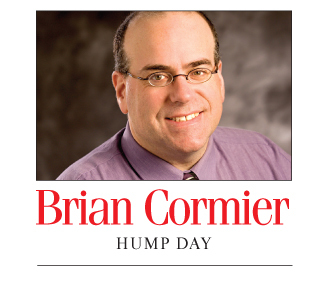 4 Responses to Hump Day: Why the hold-up with province’s long-envisioned e-health plan? I completely agree Brian. Even us (the still healthy people) can forget things when giving our medical history to a doctor. I’m sure with the technology in 2012, there must be a secure way to keep health records. In any way, why would someone want to know that I had pneumonia when I was 6 years old? Really??? My guess is there’s so much money to be made on e-health records corporate interests are not willing to allow the government do it as part of public health care, but nobody trusts anyone in the private sector to do it without somehow being on the take. There is an initiative in New Brunswick for One-Patient, One Record that would provide a lot of the data sharing that you’re talking about here. I don’t think the major hold up is privacy, but it is one of the issues that slows it down. What I understood from some of the developers is that it’s just a very complex project. A few years ago, we had eight Regional Health Authorities that didn’t share data at all. Strides have been made with the creation of FacilicorpNB (a unified IT department for all health authorities) and the reduction of Health Authorities from eight to two — that’s a big help. But each department in each of these old health authorities recorded their data differently, with different software installations. It’s a huge job to get it all into one data repository. But they are bringing them online — one department at a time. From my POV, the major hurdles have been crossed by the restructuring of the Health Authorities. The remaining hurdles are largely technical, notwithstanding the privacy review that all provincial IT projects are subject to. That explanation is of little help for those awaiting treatment for brain cancer though. You can request copies of your dad’s health records in the interim. It may help to have copies with you when you visit various treatment centers. I think different places may have different rules about that. Not the ideal situation, for sure.